Welcome to ArielWinter.org, your most up-to-date fan resource dedicated to the talented and stunning Ariel Winter. Here you will find all the latest news, detailed information about Ariel and her career, the largest Hailee photo gallery online and much more. Thank you for visiting and enjoy your stay. Which Hair Color Is Your Favorite on Ariel Winter? 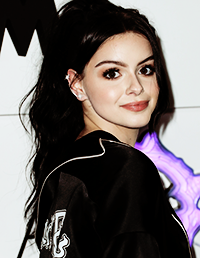 ArielWinter.org is a non profit fansite created to provide information and up to date news about Ariel Winter. I’m in no way affiliated with Ariel, her family or management. This is a fansite run by fan for fans. The material used in the fansite is not owned by me, unless explicitly stated.